For a while now, YouTube has been the go-to platform for musicians, artists, film makers and practically anyone who wants to show off some skill. But UK-based software engineer Balamuthukumar Namasivayam, promises a better launchpad for those with the right set of skills. His initiative to a�?tap hidden talents,a�? Hidden Idol, dA�buted in London this August, seeking out the best bharatanatyam dancers in the capital of England. Out of 200 online entries, 25 were short-listed, got to perform at a live event conducted especially for them and also won cash prizes. Three months later, Nama-sivayam is bringing Hidden Idol to Chennai for its second edition, which follows the same format, but will not be restricted to just one talent. a�?Wea��ve received entries in dancing, music, b-boying, silambattam, among others,a�? Namasivayam shares, pointing out that there is no age limit for participation (upload your sample video on their website). 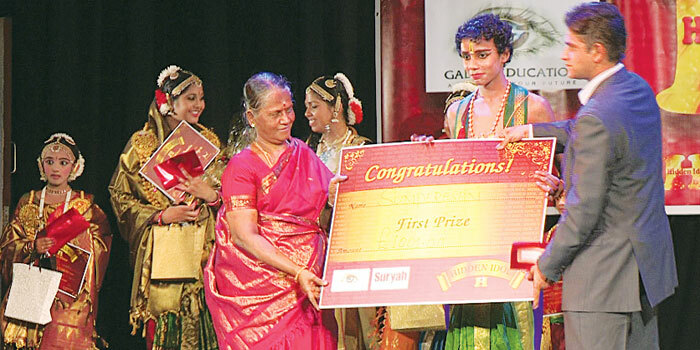 From over 500 online entries, 50 will be called for a demonstration at Bala Mandir German Hall, T Nagar, after which 25 finalists will be selected to perform at Lady Andal on November 23. a�?The first prize winner will get a chance to perform in London, in addition to a cash prize of `75,000,a�? says Namasivayam, whose aim is to make Hidden Idol a quarterly event and cover all the cities in India.